A week after fixing the ‘ring after pickup’ bug for Skype on Windows desktop , Microsoft officials said they’ve also addressed the problem in the Windows Store/Metro-Style version of the Skype app for Windows 8.1. Microsoft officials said they fixed the ring-after-pickup issue on Skype on Windows desktop last week. 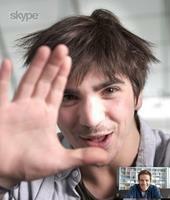 The fix arrived alongside a plug-in that allows Skype users to integrate Skype from inside Outlook.com . Back to the Metro-Style/Windows Store/Modern version of Skype: Microsoft officials also said on March 10 that the new version of Skype for Windows 8.1 also improves the synchronization of Skype across devices. Chat history and read messages will be synced properly across devices with the new update, according to the blog post. The updated version of Skype for Windows 8.1 is available for download from the Windows Store for ARM- and Intel-based devices.